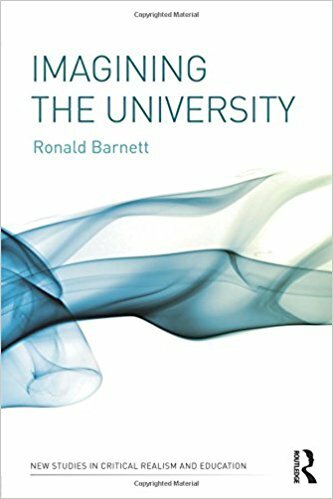 A couple of years ago I had the opportunity to hear Ronald Barnett, emeritus professor of higher education, talk at the University of Sydney. 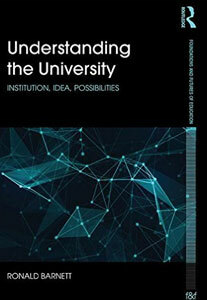 Based on his trilogy of books, he spoke about the university as a feasible utopia in an age of supercomplexity. One of his comments has stayed with me and I have pondered it, on occasion, ever since. ‘We need to be poets’ he said. The researcher thinking about tomorrow’s experiment; the scholar planning a book; the course leader engaged in designing a course: these academics live in their own created zones of time and space. These academics are academic poets, imaginatively bringing into being new worlds (p 79). 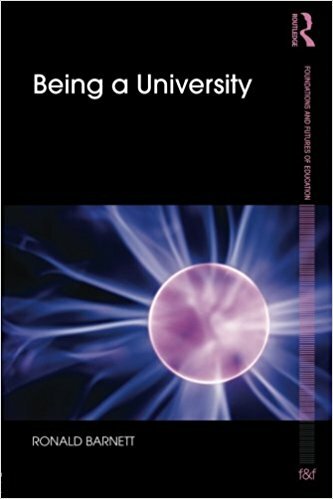 The poetry of the university being sought here would enable new ideas and new metaphors of the university fully to be realised (p 32). The university holds within itself, often hidden from view, subtlety, delight, extensions of human being, wonder and even mystery. These may be fleeting moments, and cast into shadows by dark interests, but they are there, obdurately persisting against the university’s malevolent presences. Such a situation is dauntingly difficult to capture in conventional prose. Poets may legitimately be called for (p 131). Much of the scholarship in higher education is dominated by particular research perspectives and agendas; relies on narrow range of methodologies; and is presented in critically, theoretically and textually similar ways. Playful and speculative poetic writing offers a way out of the boundaries of conventional or traditional scholarship. Poetry can capture the affective, intimate and inspiring aspects of teaching, learning and research. It may also offer a chance to write outside of (or against) defined output metrics. In the resonance we hear the poem, in the reverberations we speak it, it is our own. The reverberations bring about a change of being. It is as though the poet’s being were our being … To put it more simply, this is an impression that all poetry-lovers know well: the poem possesses us entirely (p xviii). Our world in modern languages is an altered world and it is more than my hunch that this is the same for other areas of higher education and its research. I know this to be the case if the disciplines are those, as in my own institution, which go on a journey with students in such a way as to show that other worlds are possible: History of Art, Classics, Archaeology, Languages, Anthropology. We’ve a little time before the meeting begins. I don’t know my colleague well, but she looks tired, we all do these days, and I ask how she is. She begins to tell me she is fine, but her eyes fill with tears and the real story breaks through. She can’t do this any more. They have increased her hours, closed down her most successful course, taken away her dignity, told her that the language she speaks with such love and inspiration, is worthless here. And the room is full of the sound of weeping. In the face of the grief, and it is palpable and often overwhelming to those of us who listen to it regularly and who are part of its tears too, we witness the constant selective deafness of management systems and higher education research which closes its ears to this sound in pursuit of capacity, strength, safeguarding. This reverberates. Poetry offers consolation and hope.